HTC is one of the prominent device makers expected to take center stage at MWC 2015 in Barcelona to unveil its upcoming flagship device, the One M9. There have been rumors circling around that the company is also looking to introduce a variation of the phone, called the One M9 Plus. It’s been uncertain whether or not the device will show up at MWC 2015, but it appears this will be the case after all. The folks at Tech Tastic have stumbled upon the device in Compubench, so we can give you the scoop on what specifications you can expect to encounter onboard this model. 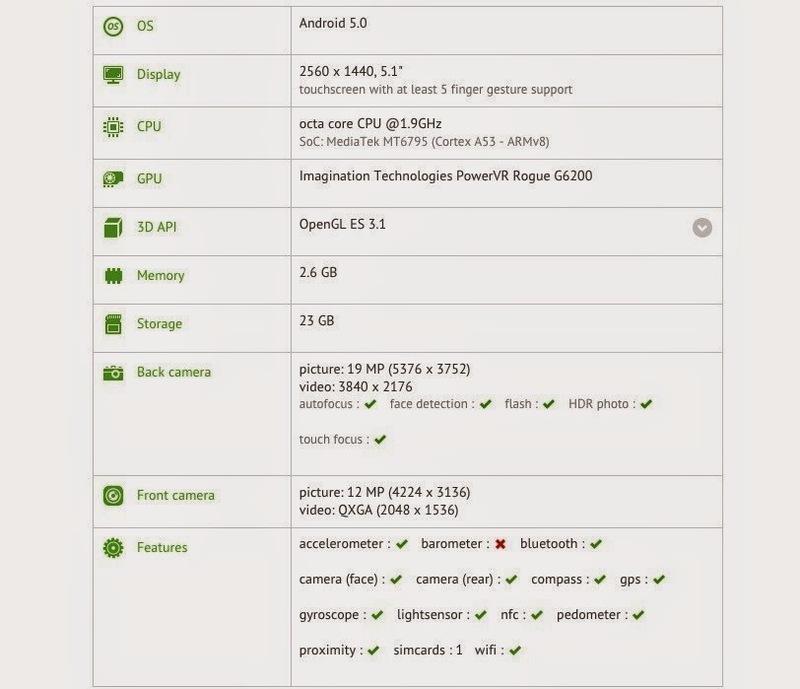 The One M9 Plus (OPK71) will apparently arrive with a 5.1-inch display with 2560 x 1440 pixel resolution. This is good news for those of you who were disappointed by the fact that the One M9 will arrive equipped with a display capable of only 1920 x 1080 resolution. The One M9 Plus is expected to bundle an octa-core MediaTek MT6795 chipset on the inside (Cortex A53 clocked at 1.9GHz) fitted with 3GB of RAM and 32GB of internal storage. As we saw yesterday, the MediaTek MT6795 is shaping up to be quite a beast. One of the most attractive qualities the chip brings forth is its ability to shoot super slow-motion 1080 videos at 480fps. The silicone bit should offer 2K support (which is what the One M9 Plus supports), 120MHz refresh rate and ClearMotion technology. It’s interesting how the current report claims the MT6795 will take advantage of Cortex-A53 cores. Yesterday, we speculated that, taking into account that the platform is a 64-bit affair, the chip should flaunt ARM Cortex-A57 cores. Anyway, moving along - in the photography department, the handset will don an impressive 20MP/13MP camera combo which will be capable of shooting in 4K. Naturally, the handset will ship with Android 5.0 Lollipop out of the box, so you won’t need to worry about updates for now. We’re just a few days away from MWC 2015, so stay tuned to see if all this turns out to be the real deal.